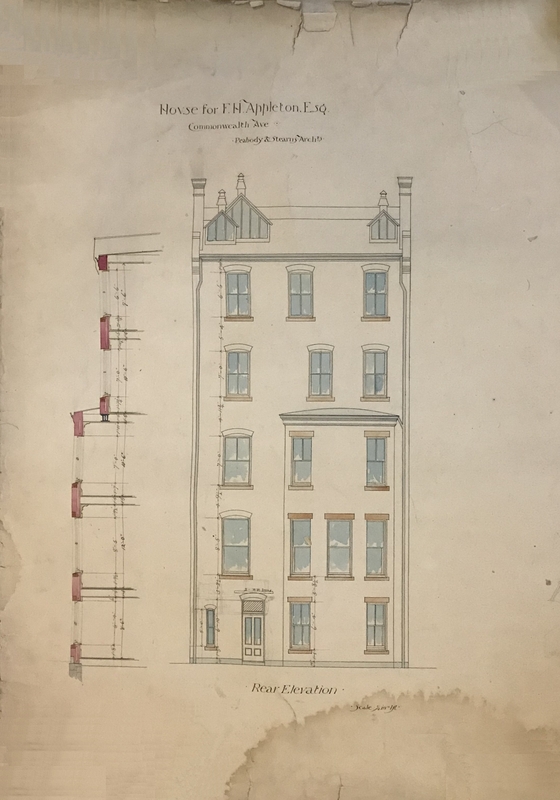 265 Commonwealth was designed by Peabody and Stearns, architects, and built in 1880. 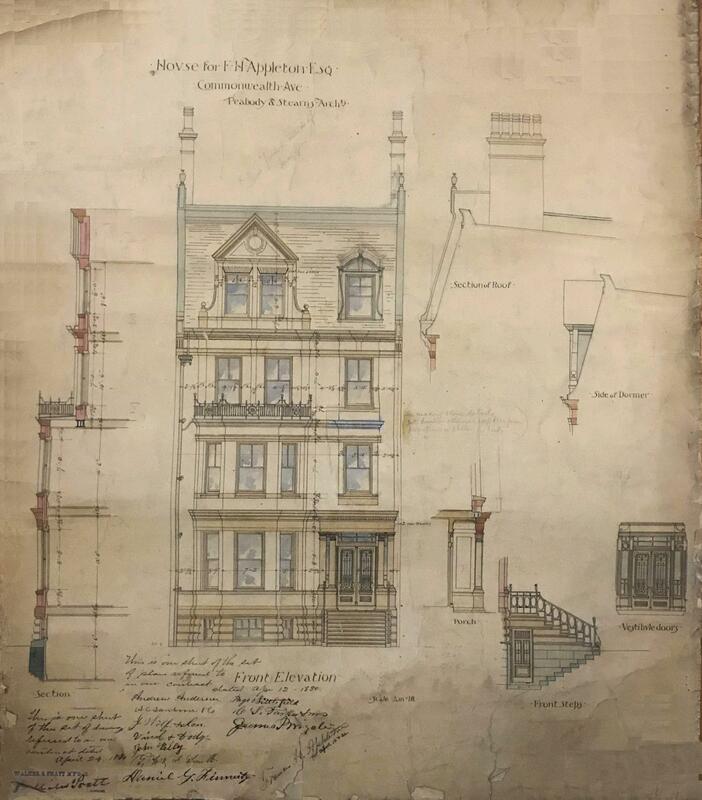 Plans for house are included in the Peabody and Stearns Collection in the Boston Public Library’s Arts Department (reference PS/MA.015). 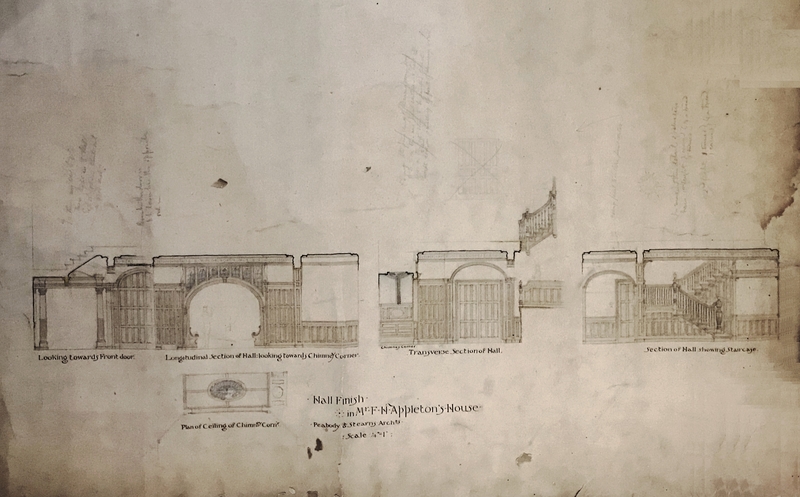 The drawings of the front elevation and of the first and second floor plans include a notation referring to an April 12, 1880, contract with the firms and individuals who built the house, including Andrew Anderson (carpenter), A. C. Sanborn & Co. (granite), Jacob Wolf & Son (freestone), Vinal and Dodge (masons), John Kelley (plasterer), G. W. & F. Smith (iron works), Daniel G. Finnerty (plumber), Page & Littlefield (stair builders), Charles S. Parker & Sons (roofers), and James I. Wingate (painter) [descriptions of businesses or trades are from the 1880 and 1881 Boston City Directories]. 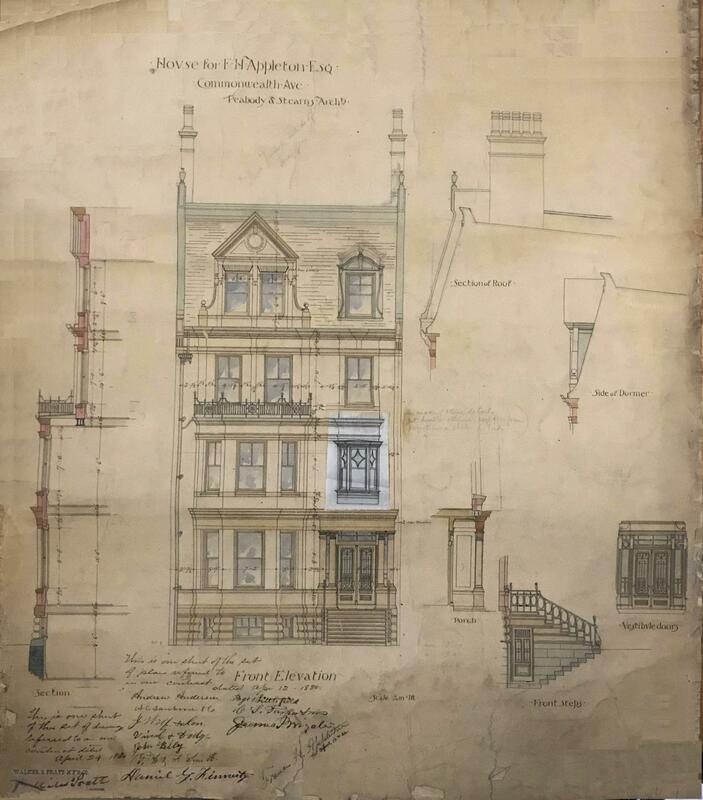 The plan for the front elevation includes an alternate rendering showing an oriel window over the front entrance. 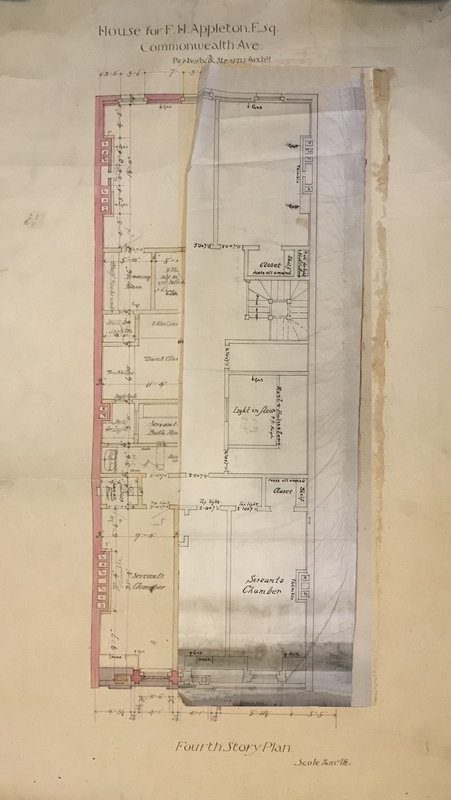 This alternate is drawn on tracing paper adhered to the drawing. 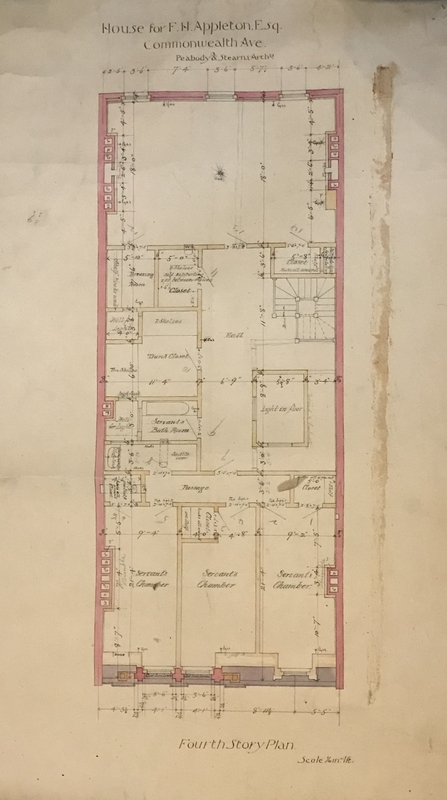 It appears that it was not built. 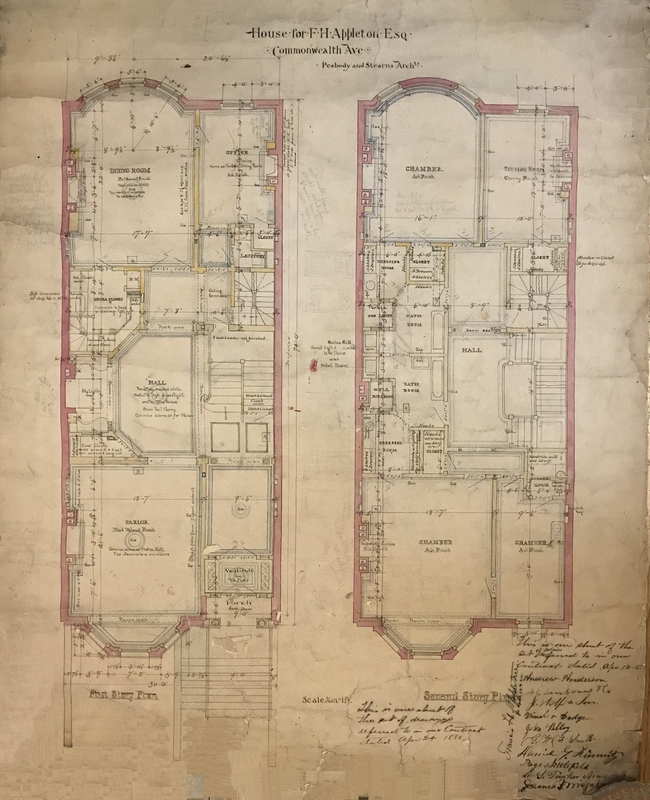 These images, provided courtesy of the Boston Public Library, include both versions of the front elevations, the rear elevation, floor plans (including the alternates for the fourth floor), and drawings of the main hall finishes. 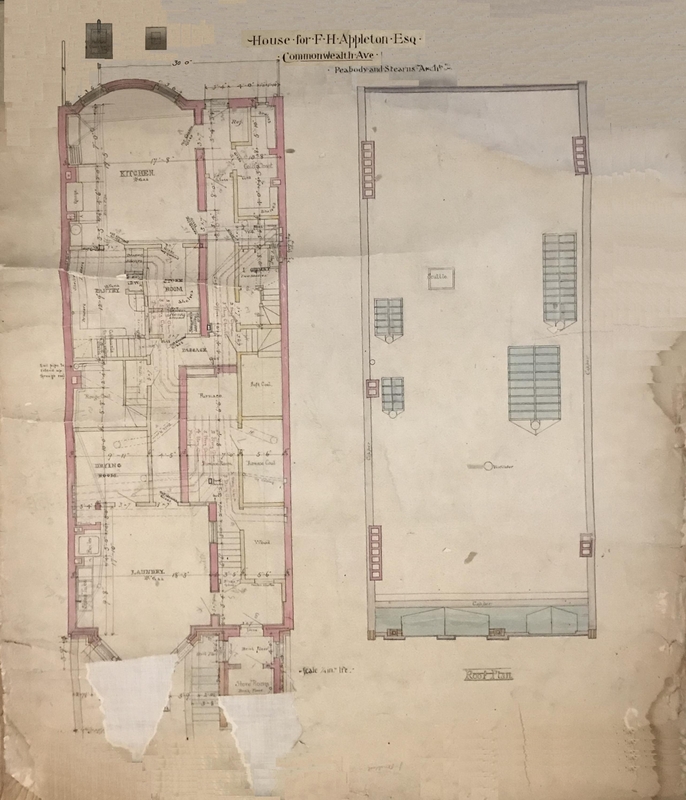 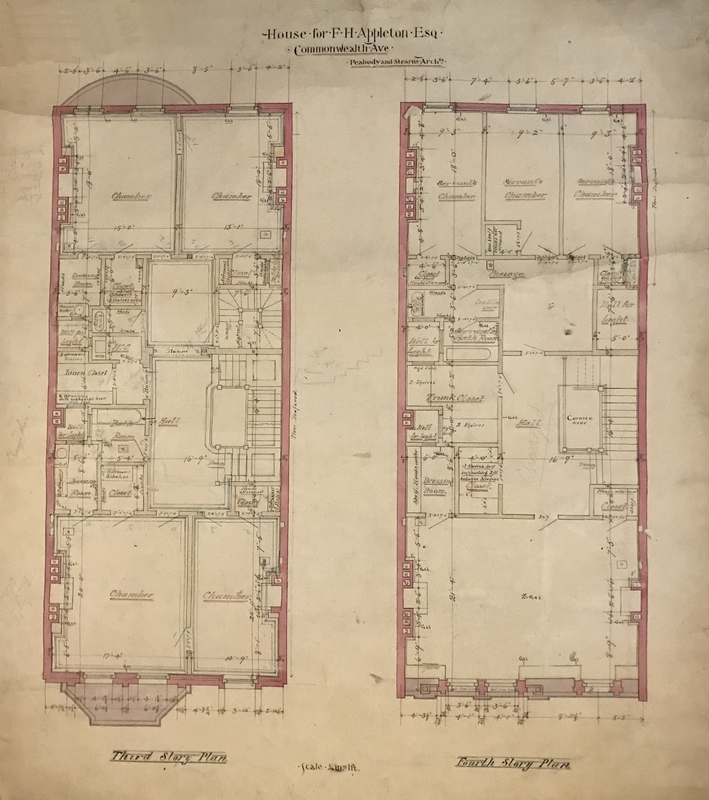 The original plans are fragile and in poor condition, and these images have been gently enhanced to reduce the stains and tears where possible.